The PowerG technology introduces a new era in the industry of alarm systems, literally redefining the safety and reliability of wireless communications when using FHSS technology. This protocol fully meet the demanding needs and requirements that the security industry faces today as well as tomorrow's challenges. Visonic PowerMasterG uses bidirectional technology low-power FHSS (Frequency Hopping Spread Spectrum), similar to the technology used in military communication systems and systems AP (Access Point). The communication network is performed through multiple frequencies spread over the entire range of frequency assignments. This ensures that each transmission reaches its destination without interruption. The allocation of the frequency used is obtained by a single encrypted random sequence known only by the devices registered with the console. Additionally, similar to the GSM mobile network, PowerG uses a TDMA synchronized two-way communication technology (Time Division Multiple Access): each device on the network is assigned PowerG a unique time division for the full two-way data transmission with the console, simplifying communication channel and increase efficiency. By using TDMA and FHSS technology, PowerG network successfully overcomes intentional and unintentional interference, congestion and collisions. As a result, the robustness and the reliability of the wireless network increases dramatically. The PowerMasterG employ advanced technologies and wireless antenna diversity, when combined with the FHSS and synchronized communication with the TDMA transmission results in a greater than 2000 meters (line of sight). This value exceeds the standards and allows installation on large surfaces without the use of repeaters. The PowerMasterG uses the AES-128 encryption algorithm, exceeding the highest standards of security industry. Transmissions are authenticated and encrypted to ensure the identification of the correct message and to protect the alarm system against codes catches and replacement messages by hackers and intruders using sophisticated techniques. The PowerMasterG meets the highest requirements of security for small installations, medium and large. Supported the Contact ID and SIA protocols for professional monitoring stations. 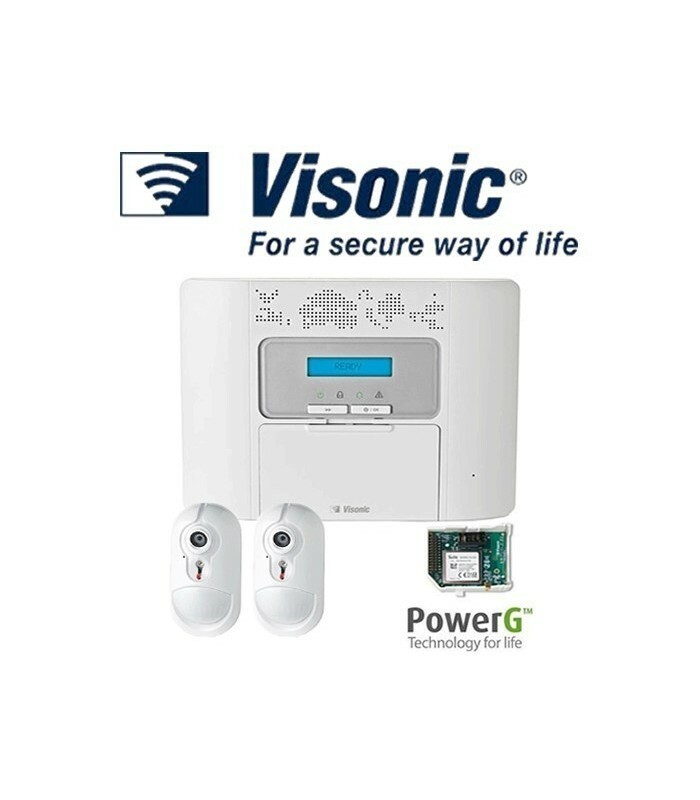 The PowerMasterG has a wide range of wireless accessories, from detectors, sirens, controls, cameras, PIR cameras, emergency transmitters and communicators modules via the Internet or GSM. These accessories can be combined, adjusted and adapted to each case and to every need.